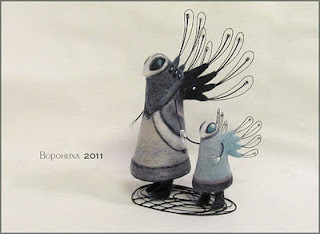 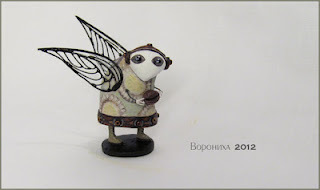 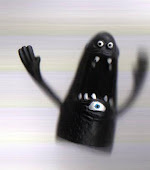 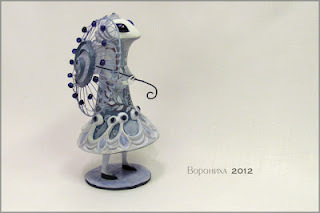 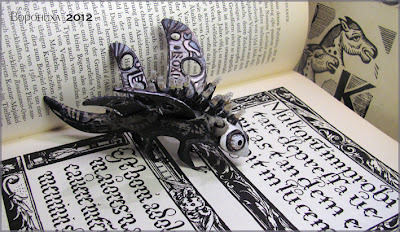 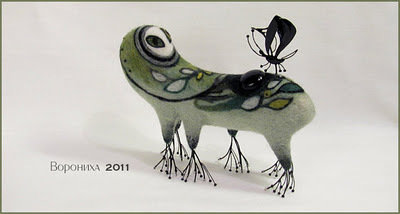 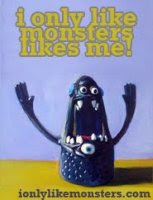 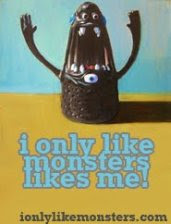 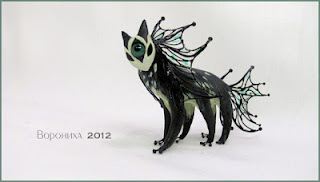 I am deliriously in love with these creatures from Voronihi Felt Creatures! I can not post nearly enough of them, so I suggest you click on through and scroll till your fingers get sore and your eyes cry with joy, and you have learned enough Russian to tell me how to purchase one! 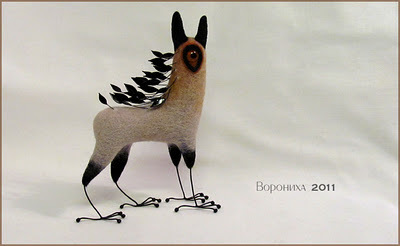 *Special thanks to Alena Bobrova from shyshyru who turned me on to these guys! 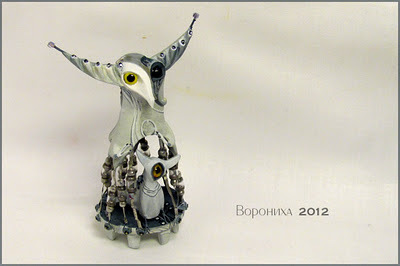 I want one of all of them, but especially that little guy at the end!